In the last quarter century, athletes across the world have morphed from working class heroes into Greek Gods. And nowhere has this transformation become more evident than when looking at athletes’ salaries. In a deal inked last week, Ferrari signed four-time defending world champion Sebastian Vettel to become the face of their Formula One team. The Daily Mail is reporting that the deal is a three-year contract worth 150 million British Pounds. Translated, that is equal to $80 million per year! The dollar amount may be shocking, but Formula One racing teams seem to think that he is worth it. 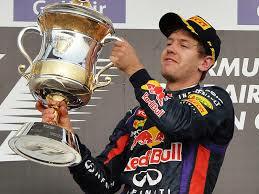 Over the last few years, while racing with Red Bull, Vettel has won 39 total races and 4 consecutive championships. 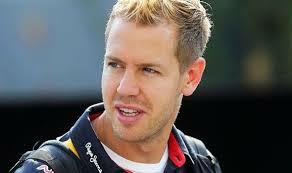 The move also mirrors a career move made by Vettel’s hero, Michael Schumacher, who won five titles with Ferrari. Well, duh. This move was made for one simple reason: fat wads of cash. Who could blame him? However, while acknowledging that Vettel should reach out and take all that he can get, I still can’t help but be sickened that athletes are capable of snagging so much money. After all, we are talking about paying a guy $80 million per year for driving a freaking car. Something is obviously broken in the system, but I’m not sure how much can be done to change it because people are addicted. But think about this: if everybody just turned off their television sets and stopped going to the races/games/matches for one year, we could skunk up the system enough to overturn it. We could demand lower ticket prices and stop the highway robbery that’s taking place. Think about it. This entry was posted in Culture and tagged ferrari, Michael Schumacher, Sebastian Vettel. Bookmark the permalink. I enjoyed reading the article, but i can do without the “f” bomb in it. Totally unnecessary.